Denim and Nautical Stripes are the hot fashion trends this season in the high street. Your ally for spring. Different shades, torn, faded, on jackets or skirts combined with this season's hit, stripes. 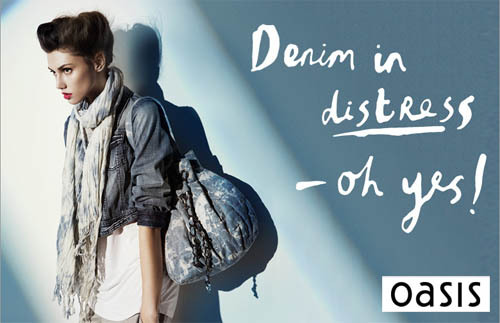 No garment can resist denim. Can you? 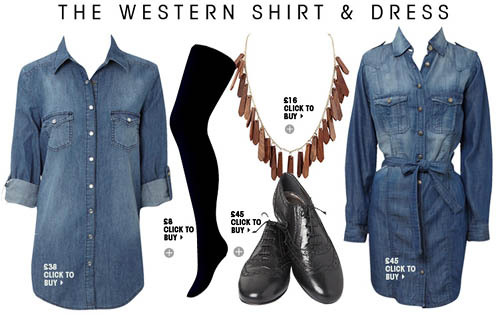 Get the ultimate casual look with oversized denim shirt. Pay homage to the wild west, whilst keeping it simple with leggings, a cool pair of brogues and a wood shimmer rope necklace. Riviera chic reigns supreme once again, but this time we've added a twist. The trusty breton stripe gets flipped, turned and reassemble on a simple jersey dress for a fresh take on a classic, voila! A denim is an essential addition to your wardrobe this season. Pair it with skinny jeans for a fashion-forward 'double denim' look, tuck into shorts for a touch of 'Western chic', or wear as an extra layer over a cute floral tube dress. Add this season's must-have accessory, the belt, and you'll stay on-trend all the way through to summer. Take a style voyage in preppy prints and flirty frills. With red, white and blue the key colours for this nautical take on a pretty look, try classic stripes or dots with black colour separates, adding a string of pearls or dainty bow accessories. A Photobooth Is A Sure Winner!